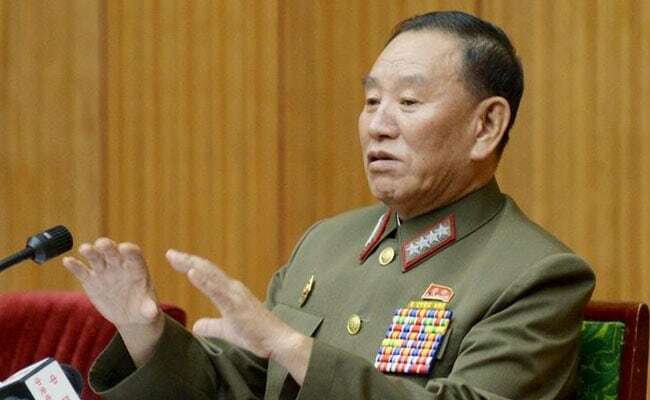 Kim Yong Chol, vice-chairman of the North's ruling Workers' Party's Central Committee, will lead a high-level delegation at the closing ceremony of the Winter Olympics in Pyeongchang on Sunday. The delegation will also meet President Moon Jae-in. Seoul: South Korea said it approved the Winter Olympic visit by a sanctioned North Korean official, blamed for the deadly 2010 sinking of a South Korean navy ship, in the pursuit of peace and asked for public understanding. Kim was previously chief of the Reconnaissance General Bureau, a top North Korean military intelligence agency which South Korea blamed for the sinking of its navy corvette the Cheonan, killing 46 sailors. "Under current difficult circumstances, we have decided to focus on whether peace on the Korean peninsula and improvement in inter-Korean relations can be derived from dialogue with (the visiting North Korean officials), not on their past or who they are," said Unification Ministry Baik Tae-hyun in a media briefing on Friday. A South Korean lawmaker briefed by the country's spy agency said on Friday that Kim was the "right person" for inter-Korean and denuclearisation talks, according to Yonhap news agency. "Kim Yong Chol is the top official regarding inter-Korean relations and he is being accepted (here) as the right person to discuss various issues like easing military tension, improving inter-Korean ties and denuclearisation," said Kang Seok-ho to Yonhap and other reporters. His visit will coincide with a visit by U.S. President Donald Trump's daughter, Ivanka, who is scheduled to arrive in South Korea later on Friday to attend a dinner with Moon and later, the Winter Olympics' closing ceremony. North Korean leader Kim Jong Un said he wants to boost the "warm climate of reconciliation and dialogue" with South Korea after a high-level delegation returned from the Winter Olympics, while the United States has stressed the need to intensify pressure to force North Korea to give up his nuclear weapons.